Charlie Munger, Berkshire Hathaway’s visionary vice chairman and Warren Buffett’s indispensable financial partner, has outperformed market indexes again and again, and he believes any investor can do the same. His notion of “elementary, worldly wisdom”—a set of interdisciplinary mental models involving economics, business, psychology, ethics, and management—allows him to keep his emotions out of his investments and avoid the common pitfalls of bad judgment. Munger’s system has steered his investments for forty years and has guided generations of successful investors. 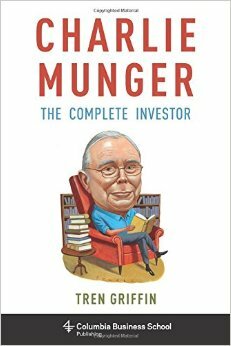 This book presents the essential steps of Munger’s investing strategy, condensed here for the first time from interviews, speeches, writings, and shareholder letters, and paired with commentary from fund managers, value investors, and business-case historians. Derived from Ben Graham’s value-investing system, Munger’s approach is straightforward enough that even novices can apply it to their portfolios. This book is not simply about stock picking, it’s about cultivating mental models for your whole life, but especially for your investments.